47-year-old Erick Escalante, of Arizona has been arrested after one of the five largest fentanyl seizures on record in the U.S. 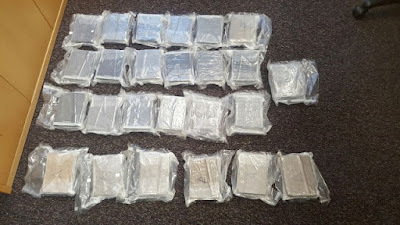 The drugs were discovered in the cab of a tractor trailer during a routine traffic stop near Derby, Connecticut, about 10 miles west of New Haven. 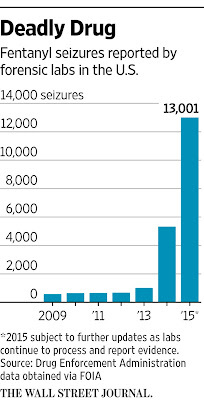 Just three milligrams of fentanyl — an amount equivalent to a few grains of salt — is enough to kill the average adult male, meaning Wednesday’s 55-pound seizure involved about 8.3 million lethal doses. 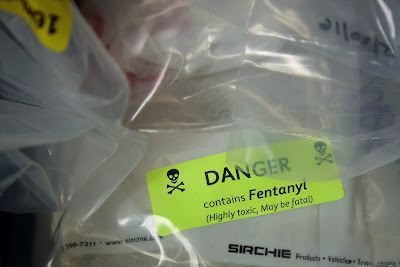 That’s enough fentanyl to kill every single one of Connecticut’s 3.6 million residents — twice. Fentanyl overdoses increased 72 percent from 2014 to 2015, according to new data released last week by the Centers for Disease Control. The DEA says Mexican drug cartels import fentanyl or the precursors needed to manufacture it from China, running rude clandestine line labs to manufacture Fentanyl, then smuggle it into the U.S., often mixed with heroin. The DEA says Connecticut is the gateway to New England for the Fentanyl.